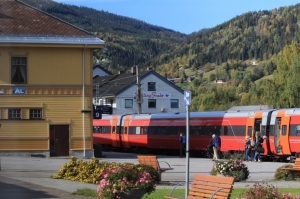 mountain railway connects Norway’s two largest cities; Oslo and Bergen. 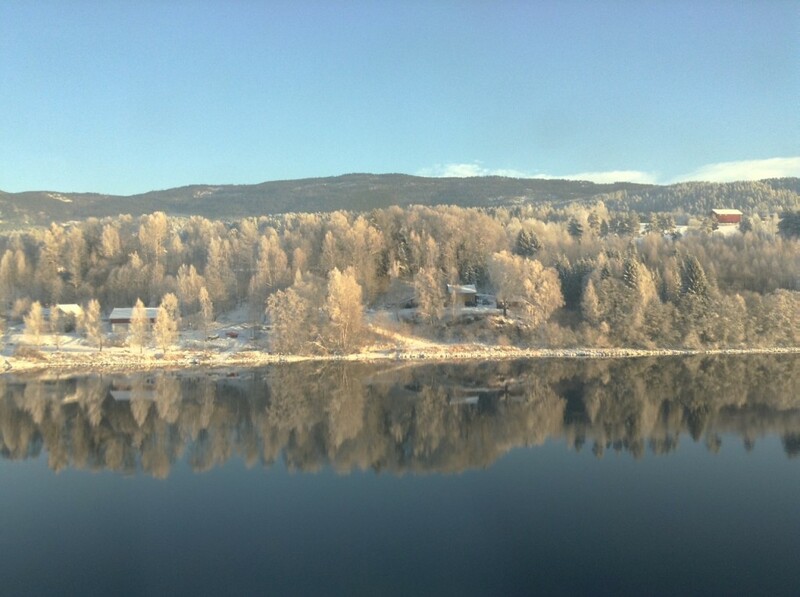 It is the highest mainline railway line in Northern Europe, crossing the Hardangervidda mountain plateau at 1300 meters above sea level. 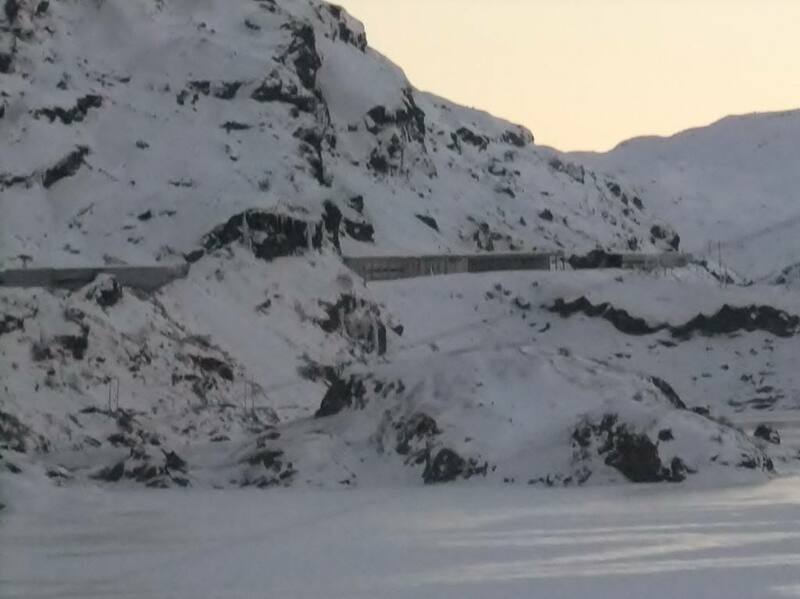 The line is some 500 kilometers long, and Finse is the highest station with an altitude of 1222 meters above sea level. 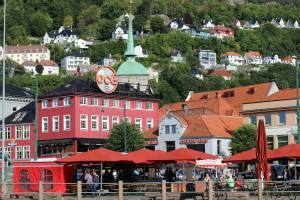 The Bergen line is an ideal starting point for a trip to the Norwegian fjords. 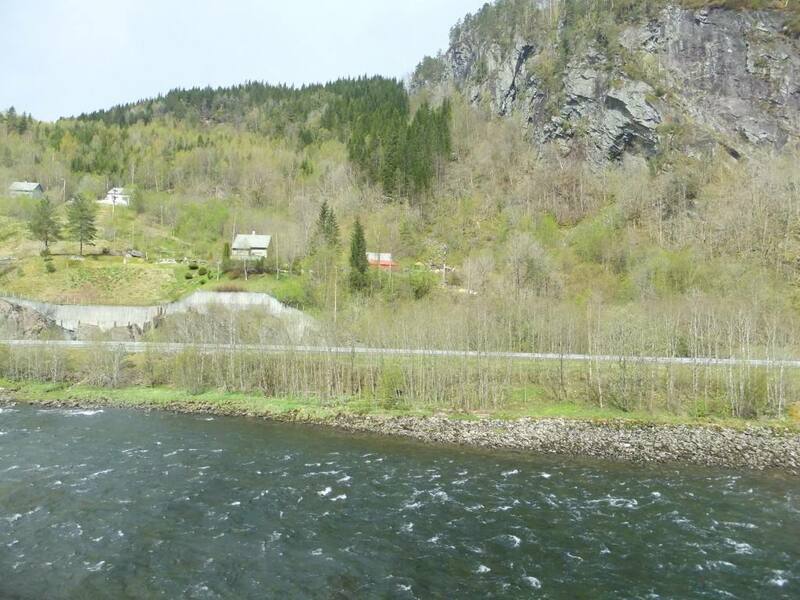 You can start in Oslo and take it across to Myrdal, then change to the spectacular Flam Railway, taking you down to the Sognefjord and the village of Flam. There are boat and ferry trips from Flam, both to the Naeroyfjord and to the main Sognefjord all the way to Bergen, with calls at tiny fjord villages en route. The Bergen line takes you through beautiful scenery, through the Hallingdal valley, across the Hardangervidda National Park with views of mountain peaks and the Hardangerjokulen glacier at Finse. The mountain areas are covered with snow between October/November and April. During these months the locomotives often carry a snow plow at the front. 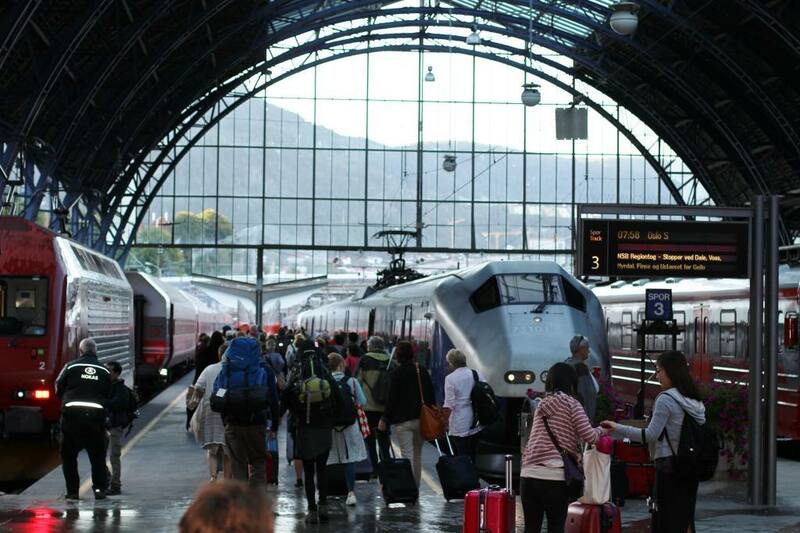 The Bergen line offers both transport from villages along the line, as well as travel between Oslo and Bergen. The entire journey takes approximately 7 hours. 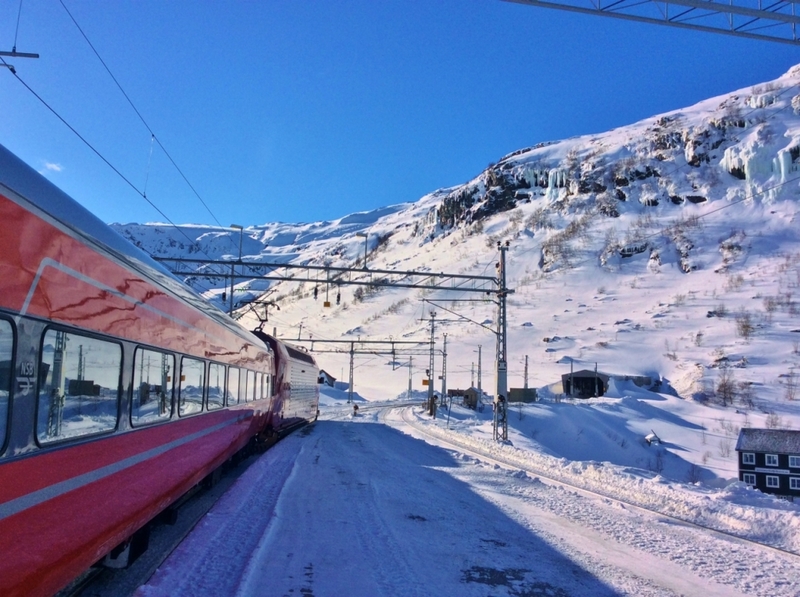 Several parts of the line visit stations without road access, such as Finse and Myrdal. 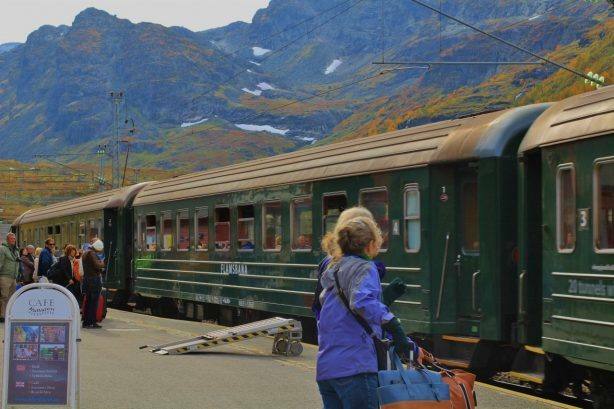 The famous Flam Railway is a side branch line, starting at the Myrdal mountain station, descending through the Flam valley to Flam village by the Sognefjord at sea level. 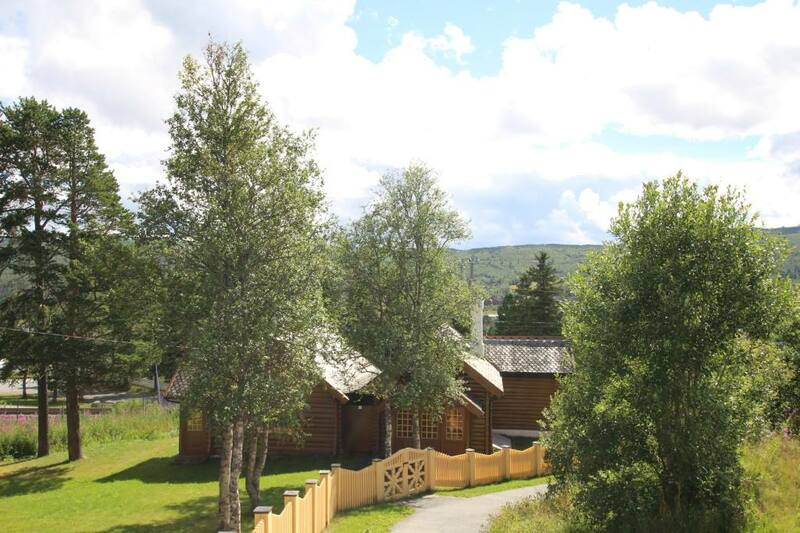 Geilo mountain village is a popular winter ski resort, both for Alpine and Cross country skiing, as well as other kinds of winter activities like dog sledding & horse sleigh. 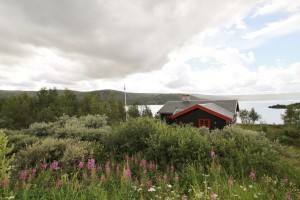 Geilo is located approximately midway between Oslo and Bergen, and due to its easy access by train lots of inhabitants of both cities have their second homes/mountain chalets in the area. 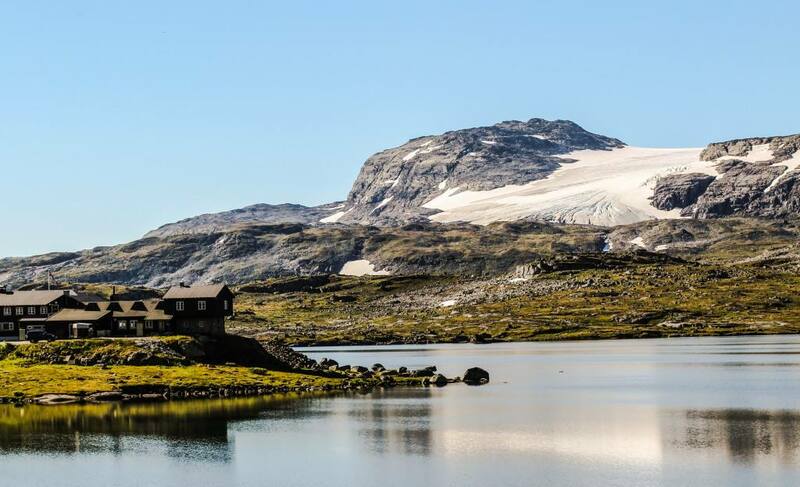 Most Norwegians love skiing! 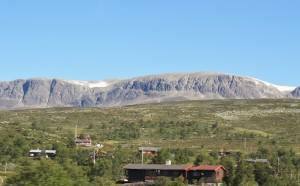 Finse being the highest station, is also the most windy and a popular paragliding area. 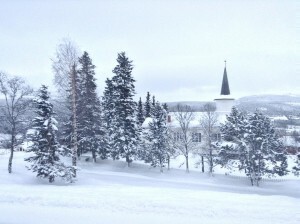 During the winter months snow storms are quite frequent, with heavy snowfall. 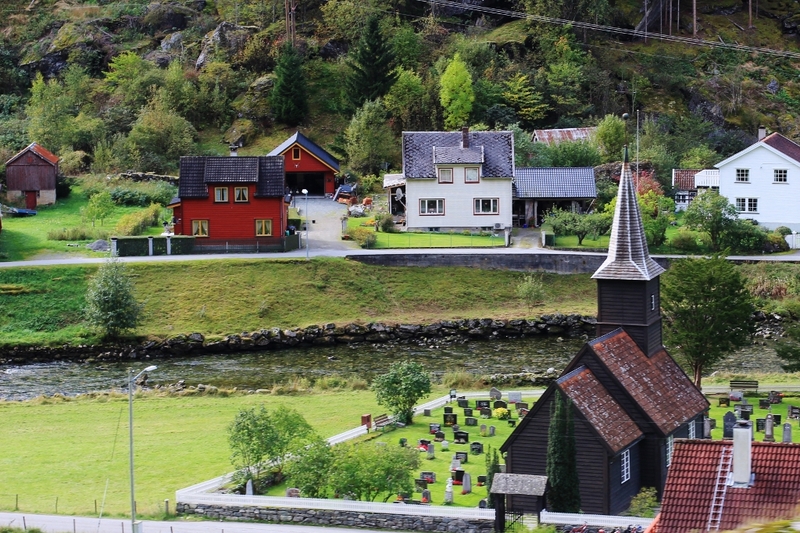 Voss village hosts the annual Extreme sports festival, with all kinds of sports like rafting, hang gliding, paragliding, skydiving. 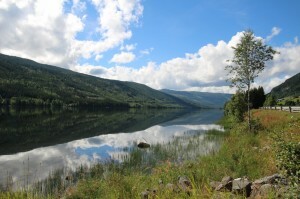 Voss has excellent Alpine skiing facilities. 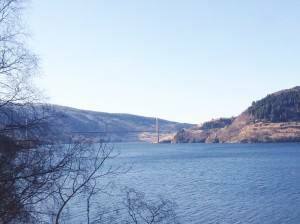 Enjoy an unforgettable trip across the mountains!